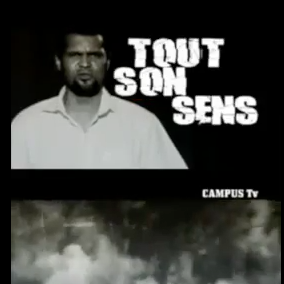 Foday left school at a young age because he did not understand what the teacher was saying and he did not feel he was learning anything. Since he met One Family People, he has enjoyed taking part in musical activities and being one of ‘The Walpoleans’. Most of the time, he gets bored just sitting at home all day because there are few opportunities and he does not have much to do. However, Foday recently started attending college, which he loves but finds very challenging. This picture shows a bicycle accident involving one of Foday’s friends, a fourteen year-old boy with a speech and hearing impairment. He has just been involved in a collision with a pedestrian and an argument has broken out. Accidents in the street are more common for people with speech and hearing impairments, as they cannot hear the noise of the cars and the traffic. 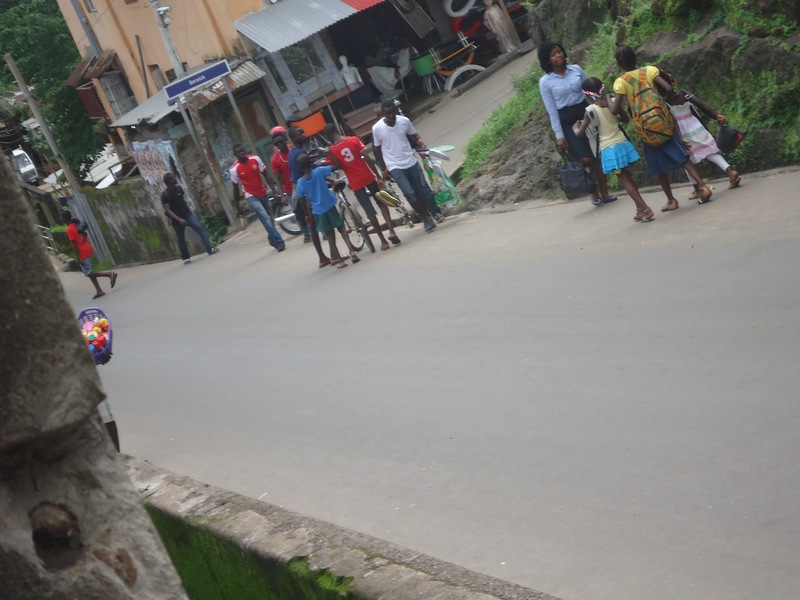 The roads in Freetown are in very poor condition with few sidewalks and many holes, so walking in the streets can be extremely dangerous for people with physical disabilities. 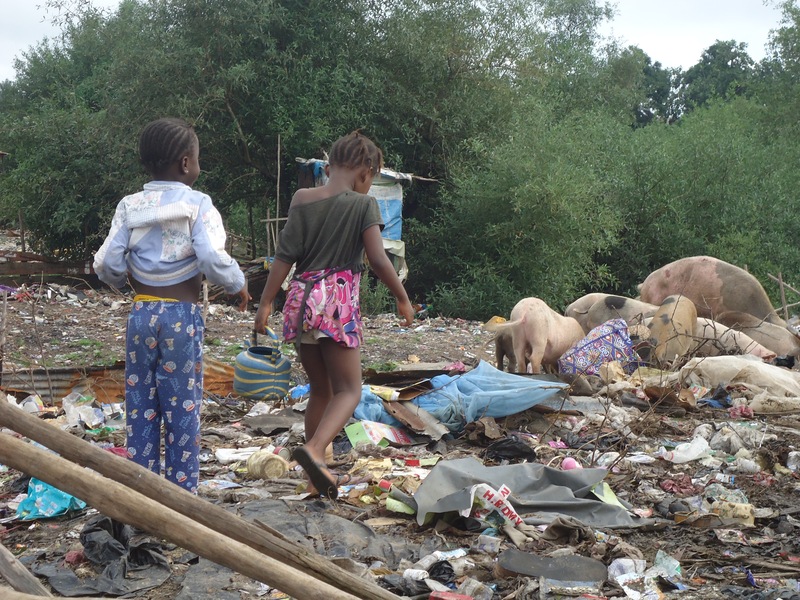 The majority of Sierra Leoneans live beneath the poverty line, and a child with a disability can put an added financial strain on a family’s already restricted resources. These children are often seen as a burden that costs the parents too much money. A huge number of children and young people with disabilities in Sierra Leone have been abandoned by their families. 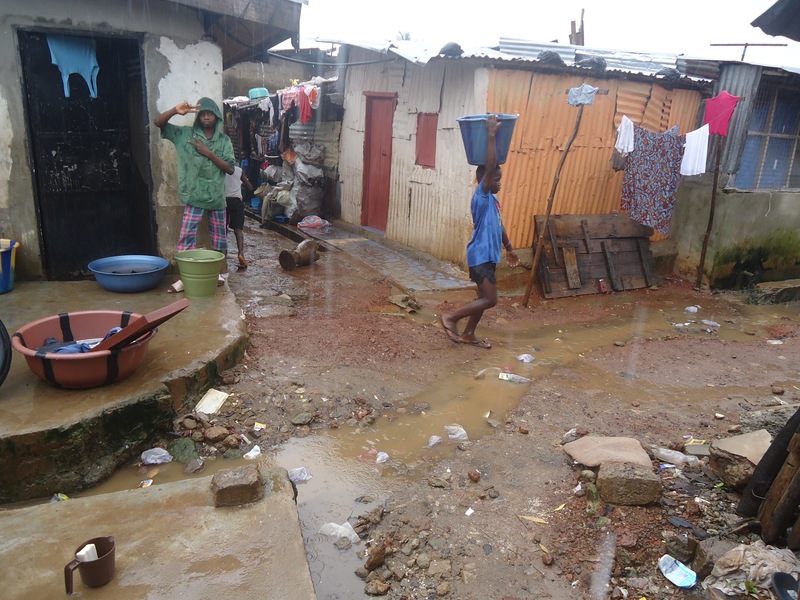 Many are now living on the streets of Freetown. Because of the high costs of technical disability equipment, parents are often faced with the choice of whether to spend $150 on a wheelchair for one child, or to feed all their five children for three months. Furthermore, the financial gains of having children to support their parents in later life, are not identified in children with disabilities who are sometimes considered to be useless, and this is another reason for discarding them. Young people with speech and hearing impairments are one of the most excluded social groups in Sierra Leone. There is a strong social barrier between those with disabilities and those without disabilities, and this is especially the case when it comes to people with speech and hearing impairments who struggle to communicate with others. The communities often see them as outcasts and it is not easy to make friends.